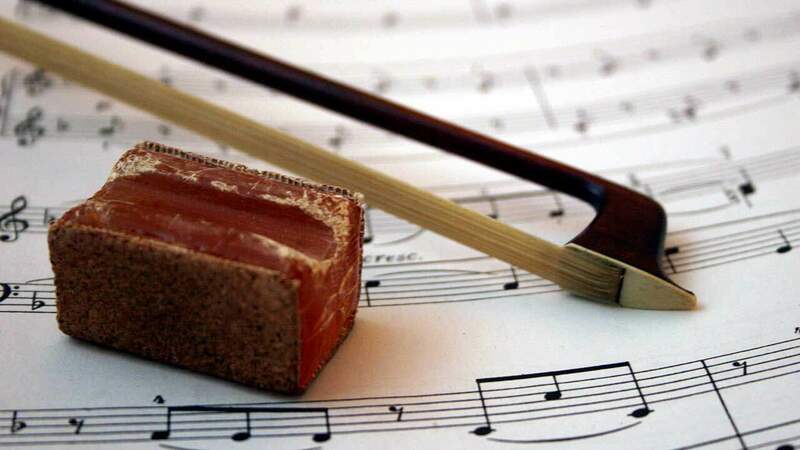 Learn how to rosin a violin bow with this quick and informative tutorial. 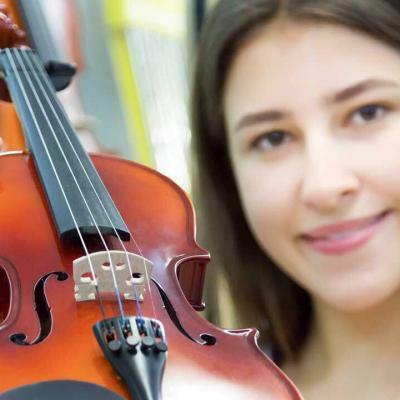 One of the first and most important skills a new violinist should learn. How tight should a violin bow be? How often should you rosin your bow? How do I keep my violin bow in good condition? You’ll need to rosin the bow before using it for the first time, which can be slightly difficult, but will become easier. Another skill you’ll need to learn is how to tighten the bow. In this post, we’ll go through how to do both tasks. Adjusting the tension of your bow is vital for getting the best possible performance. It can be tricky at first, but you’ll get the hang of it soon enough. How often to tighten it will depend on how often you’ll play, but it’s best to reset the tension before every session. You have to achieve a balance between the optimal tension and tightening it so much that you damage the body. Loosen the tension when you’re finished playing as this extends the lifespan of the bow. To loosen the tension, turn the adjustment button. It’s better to err on the side of too loose here. Over-tightening places extra stress on the bow and can cause it to snap. It will also make it difficult to play correctly. If you’re finding it hard to control the bow, it could be an issue with tension. Over time, you’ll get a feel for the correct tightness, which is something that’s difficult to describe. It’s best to get the bow tightened by your teacher the first few times so that you know what the correct tension feels like. Alternatively, you can use a pencil to check whether or not the tension is correct. Place the pencil between the hairs and the bow at the center. If the tension is correct, the pencil will touch both sides. Score the rosin’s surface. This will help you to get a better grip on the hair. You can score the surface using a knife or fork. Your aim is to get the cake looking a bit scuffed and to remove the gloss. The cake should then be applied to the hair of the bow. Make sure that your fingers don’t touch it at the same time. The oils on your fingers can prevent it from sticking as it should. Pass the cake all the way along the hair using a steady motion. Run it back down again. Every pass should cover the entire length of hair. Passing slowly is essential for even distribution. The initial rosin application takes a while. You will need to pass the cake over a total of thirty to fifty times. Slowly is best here as too much friction will cause heat that melts the rosin. You should also move the cake around a bit so that you don’t settle into one single groove. Expect to see a lot of dust. It’s perfectly normal. Wipe it off with a dry, soft cloth. Do this every time you play and wipe the violin down as well. As you get used to the feeling of applying the rosin, you’ll figure out how often you should reapply it. When reapplying, you’ll follow the same procedure, except that this time you only need to pass it over between three and five times. After the initial application, re-applying rosin is something that you’ll want to do after playing for about four to six hours. It will help the bow hair last longer and will help you to get the best performance out of the bow. 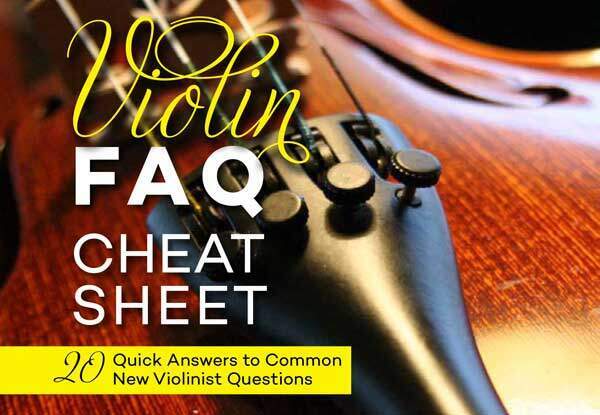 According to the Suzuki Association, it might be difficult to tell by looking if you need to add extra rosin, so you’ll need to rely on other senses as well. Rosin the hair properly before using it the first time. Yes, it takes some time to do this, but it can extend the useful lifespan and improve the sound you get. So, make an effort. It makes sense to apply rosin when you feel it might be necessary. The rosin helps the hairs to move smoothly across the strings, which reduces friction and extends the life of the hair. Loosen the tension when you’re finished playing. You’ll need to re-tighten it before playing again. It’s essential to avoid stress fractures in the wood. Wipe it down after every use to remove dust. 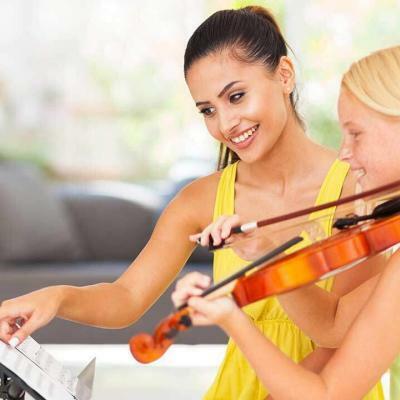 It’s basic common sense – the better you care for your musical instruments, the better they will last you. Now that you know how to rosin a violin bow, you’re on your way to keeping it looking good and working well for longer. At some stage, you’ll need to get a replacement. You’ll be able to find a good selection for beginners or intermediate players here.